Polygon annotations are used to hand draw polygons on a page. They can contain any number of sides defined by the polygon vertices. 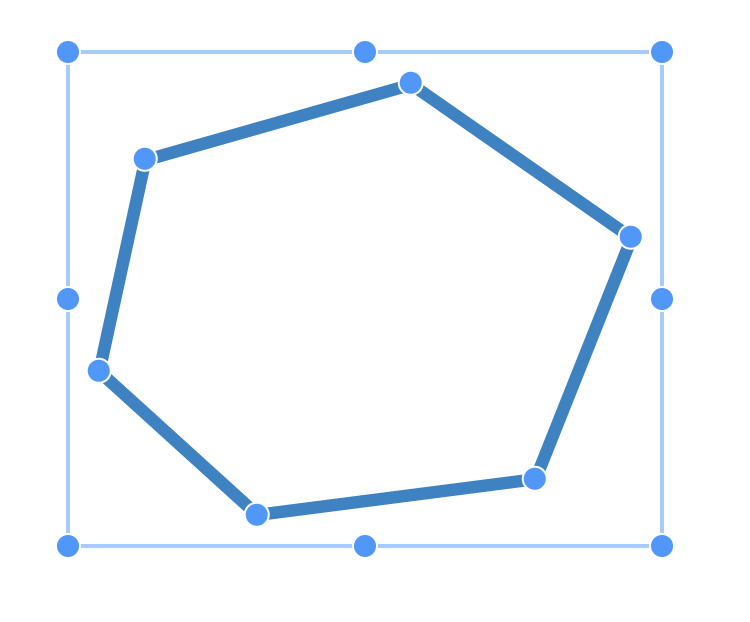 Polygon annotations with transparent fill color are only selectable around their visible lines. This means that you can create a page full of polygon annotations while annotations behind the polygon annotation are still selectable. Right now, polygon annotations are implemented using SVG images. This behavior is subject to change.